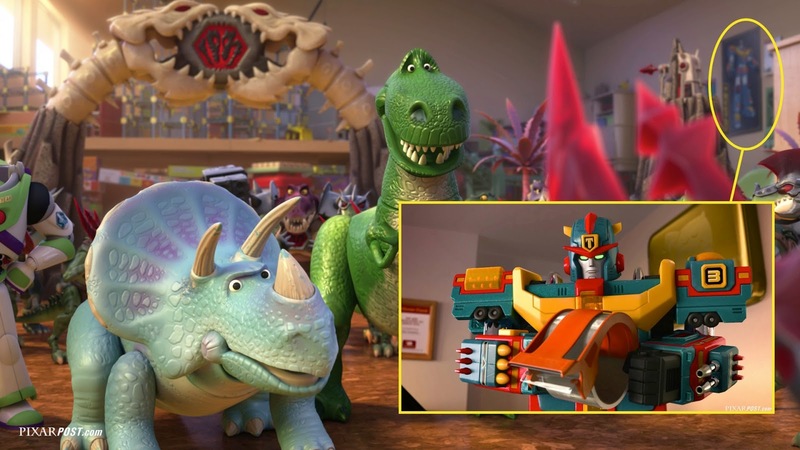 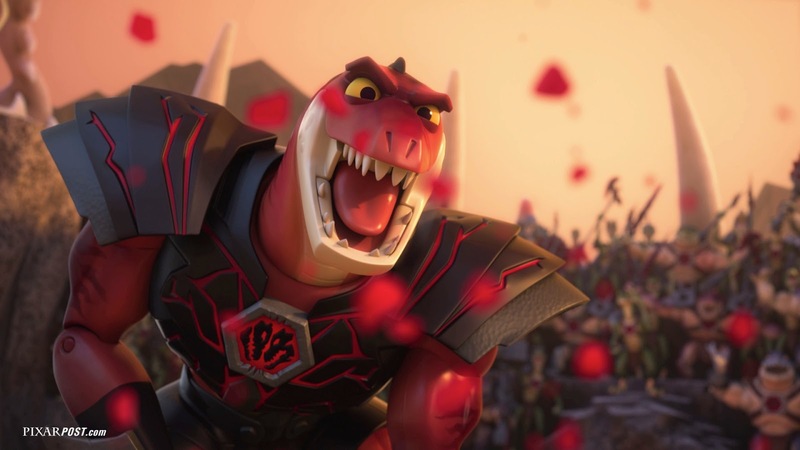 Pixar's second television special, Toy Story That Time Forgot, premiered last night December 2 and as we all gazed upon the incredible work of the team we were thrilled to find that the film was full of easter eggs. 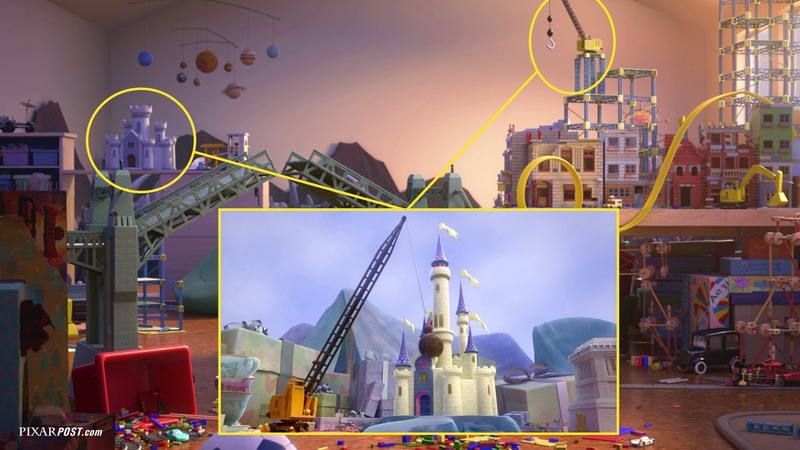 Take a look at what we have found so far and see if you found any that we haven't yet. UPDATED November 13, 2015 - Updated screenshots and a slew of new easter eggs (from Inside Out, Cars 3 and Coco), familiar assets and humorous items have been added now that the Blu-ray/DVD/Digital release is out (read our review here). 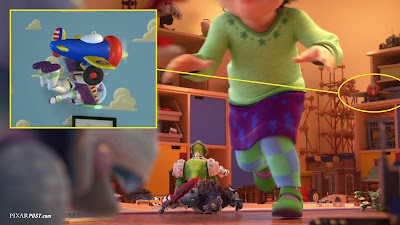 In the opening holiday scene we are greeted by a familiar character, Knick Knack!, stuck in his signature snow globe he seems to fit into the scene so seamlessly that we nearly missed him. 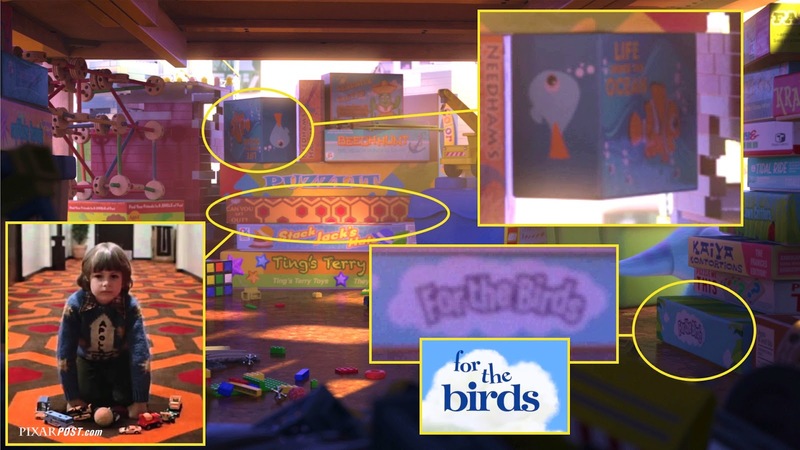 In the same frame our eyes were also drawn to a bird near the gingerbread house that resembles one of the characters from the short, For The Birds. 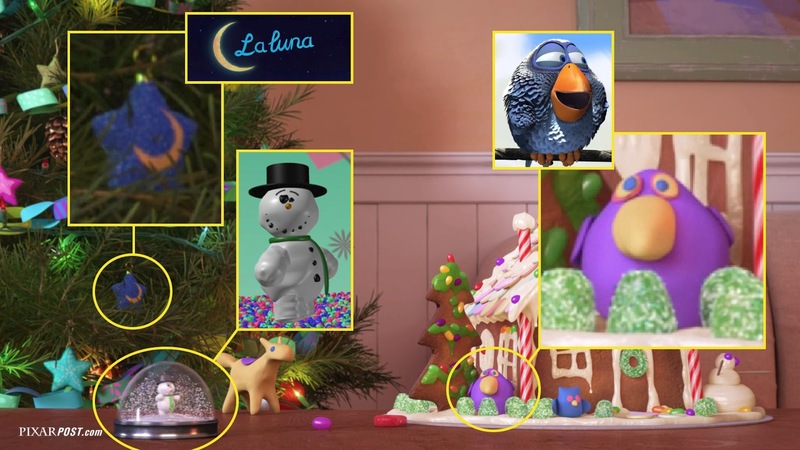 There was also an ornament on the Christmas tree that reminded us of the ending moon image from the short La Luna - though it could just be a coincidence. 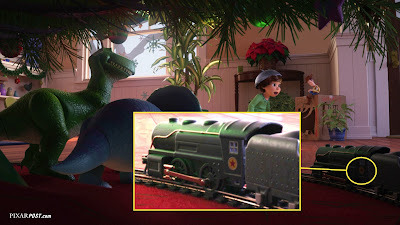 Did you notice the train underneath the Christmas tree in Bonnie's house? You'll notice the famed Luxo ball on the side of the train as well as on the boxes of the Battlesaurs. Speaking of the boxes, did you notice that the children who are pictured playing with the Battlesaurs are actually Riley's classmates in Inside Out (image shown below)? This fun fact was revealed to us during our interview with Director, Steve Purcell. 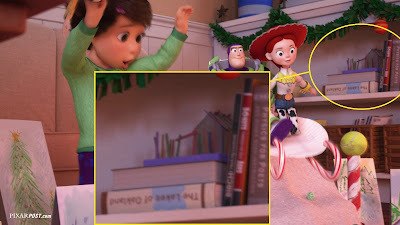 In addition to all the hidden items, there are also some great moments of humor as well - one being a thick book titled "The Lakes of Oakland". If you look up lakes in Oakland, California (located right next to Emeryville where the studio is located), you'll find only one or two lakes in Oakland (Lake Merritt and the small reservoir, Lake Temescal). 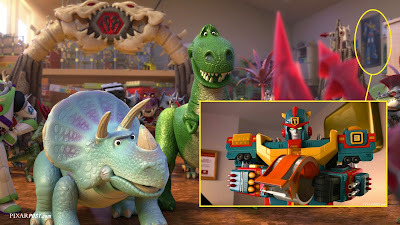 You've got to love a little dry humor thrown in by the team! There is also another book titled "Physics for Poets" which also gave us a great chuckle when we spotted it. 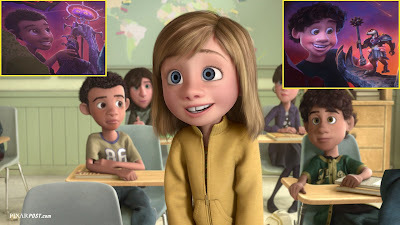 There is another book titled, "Ukulele Una" (seen in several locations) which we couldn't help wonder if it was a nod to Lava, the short film which was in theaters alongside Inside Out. 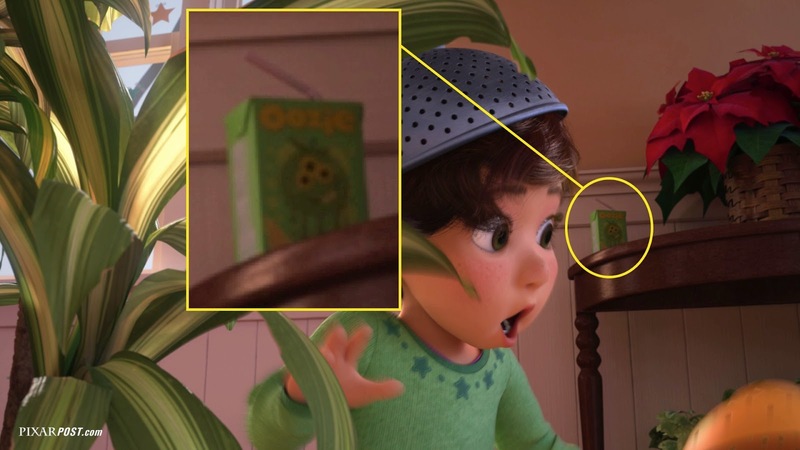 The screenshot above has a drink box called "Oozie" or "Oozje" (a play on O.J.) that features a three-eyed monster which we assume came from the world of Monsters University. 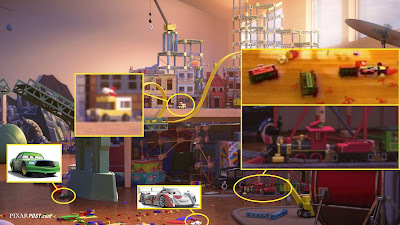 Speaking of trains, did you happen to spot the train from Toy Story 3 in Mason's playroom? The train is actually Andy's toy train that appears after the main opening of Toy Story 3 (when we're viewing Andy's Mom's camcorder footage watching Andy play and is shown as the top callout box of the train in the screenshot). 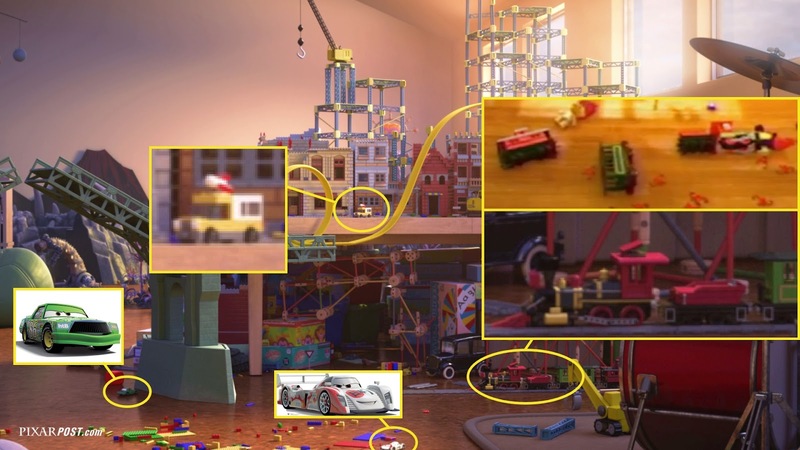 Scattered across the floor you can spot many of the Cars characters from Carla Veloso, Shu Todoroki and many more. 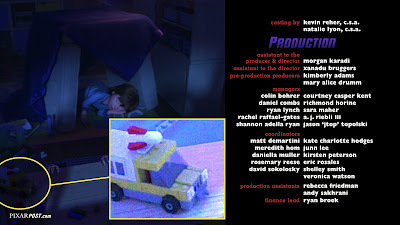 It wouldn't be a Pixar film if we couldn't find the Pizza Planet Truck, you can see it on the table next to some Lego brick buildings (you can also see the Pizza Planet Truck at the end of the film during the credits as Reptillus jumps up on the table — we brightened up the image below to better show the Truck). In every film there's the one easter egg that blows us away or just makes us smile and spotting Mr. Jones from Toy Story of Terror! 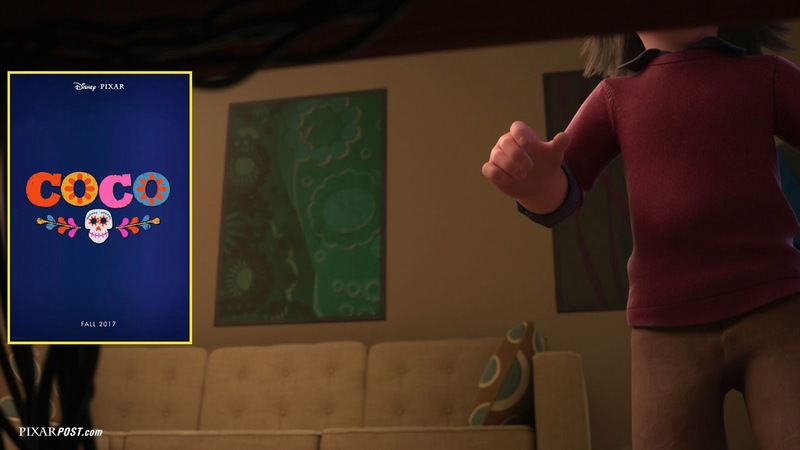 really made us grin from ear to ear. He is resting in his terrarium up high on a shelf in the playroom. 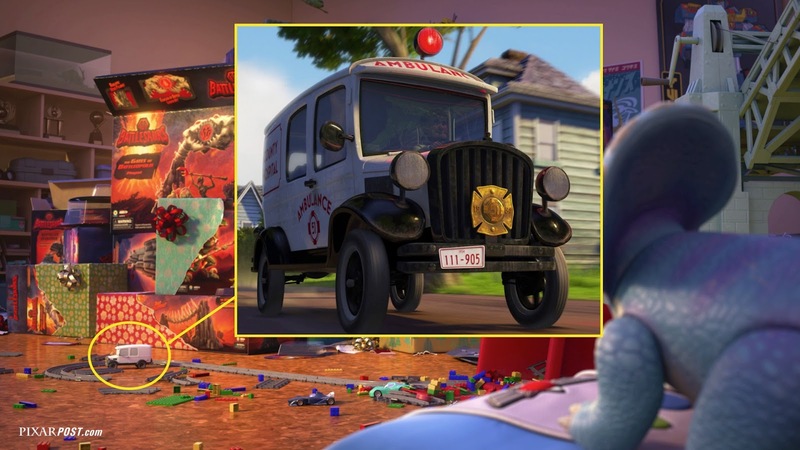 If you have a keen eye, you can also spot the ambulance which rushes Carl to the hospital in Up after he falls trying to reach his balloon (thanks to Forum user GrayCatbird). 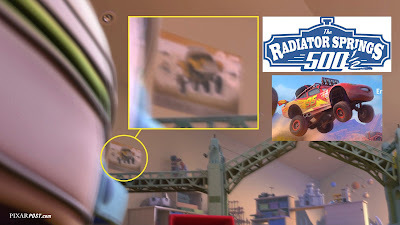 This next easter egg can be seen a few times but only briefly, it is a Japanese poster featuring Transitron from Toy Story of Terror!. Another poster pays homage to the Cars short, Radiator Springs 500½. The screenshot above seemed to be littered with easter eggs and Pixar references, from names on board game boxes (Pixarians and a nod to For The Birds), an image of Nemo and Dory on a game called "Life Under the Sea" and a nod to the famed carpet design in The Shining (board game titled "Can you get out?"). 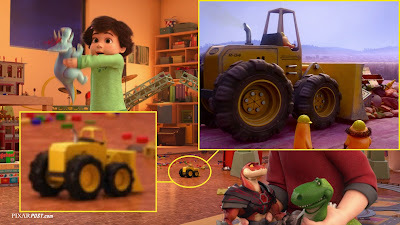 The propellor plane seen on Mason's shelf is quickly becoming a staple in Pixar films as well. 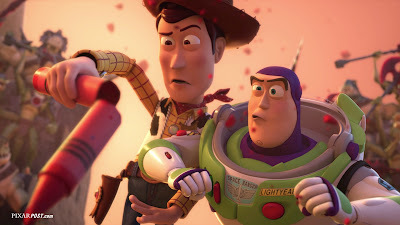 The plane original debuted in Toy Story as Buzz first proved he could fly, while Woody shouted that it was just "falling with style". 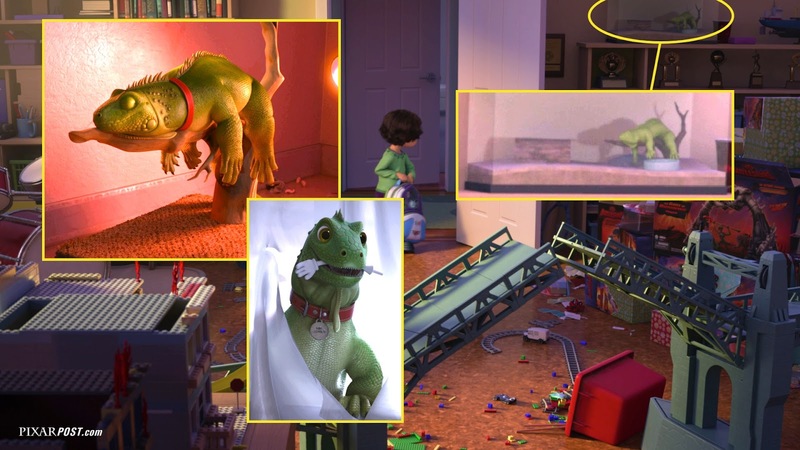 While we were watching Toy Story That Time Forgot we were hoping for a Partysaurus Rex easter egg and were delighted when we spotted the orange starfish — hoping the starfish was a reused asset. 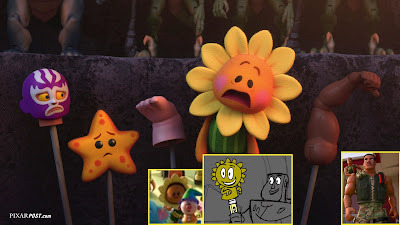 We also pondered the origins of the sunflower - some users in the Forum were noting it was from the "Pencil Topper" deleted scene from Toy Story of Terror!, while another user asked if it was the sunflower seen briefly during the credits of Toy Story 3. The muscular arm must be from none other than Combat Carl, but what about the foot (Big Baby?) 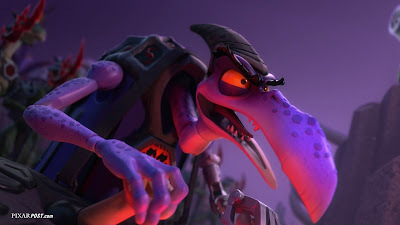 or masked-man? 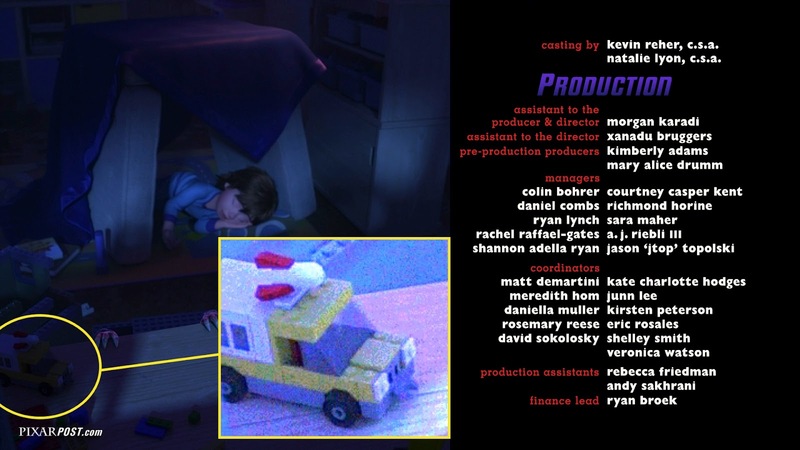 Did you happen to notice that Bonnie and Mason are playing the Buzz Lightyear video game from the opening scene in Toy Story 2 (you can see the blasters off the back of Buzz's jetpack). 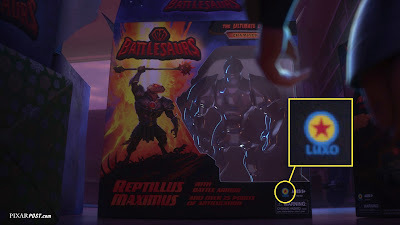 You've got to be quick to see it as it's only on the screen for a split second as the power get switched off by Reptillus. Also, during our interview with Director, Steve Purcell he filled us in that the three posters on the wall in Mason's game room (right above their heads) are highly stylized posters that were a nod to upcoming films: Cars 3, Inside Out and Coco. 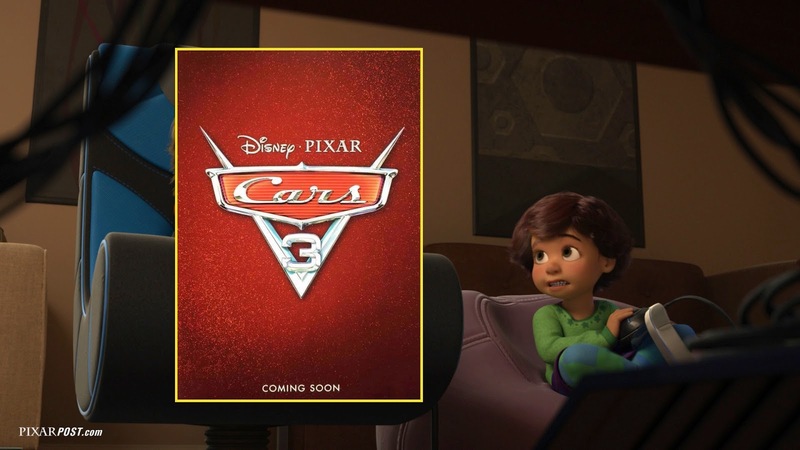 The Cars 3 poster shows a series of lug nuts and a road, while the Inside Out poster is an artistic version of Rainbow Unicorn's mane. The Coco nod came in the form of designs symbolizing the "Dia de los Muertos" holiday. 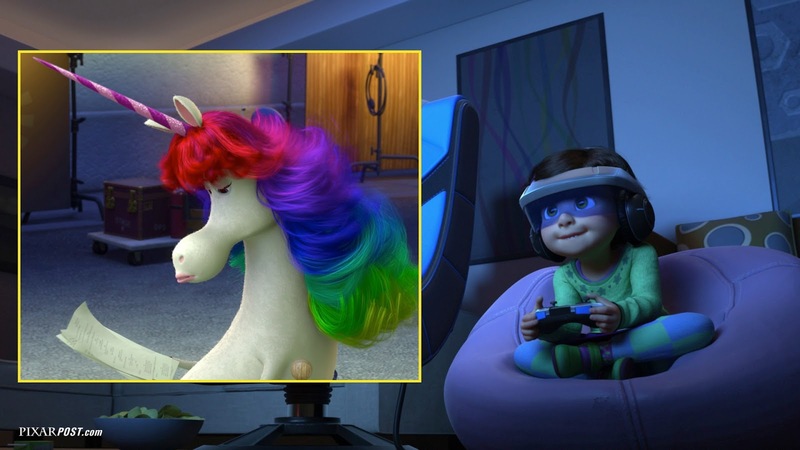 What a fantastic reference — without the tip from Steve, who would have gotten the reference of Rainbow Unicorn (and ultimately, Inside Out)? 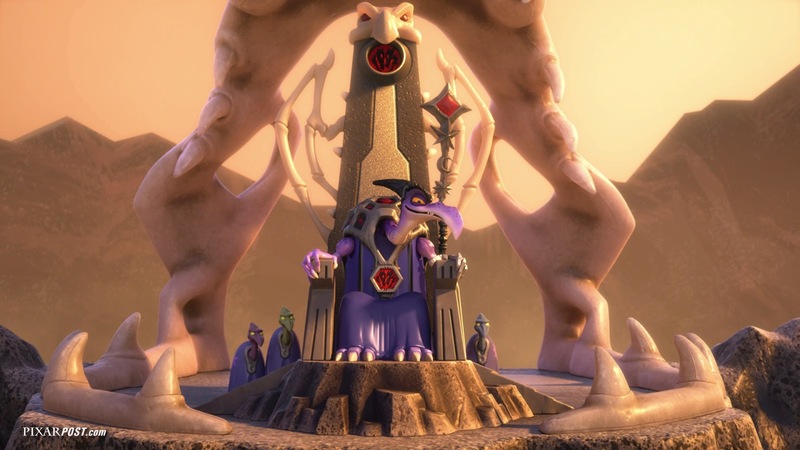 After watching the special for some time, Julie also noticed an overarching fun fact that as The Cleric begins to take power the lighting in the playroom shifts from yellow to purple (his color). 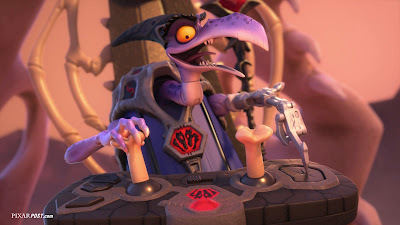 This shift in color to a cooler tone not only adds drama, but it also matches his purple color signifying his growing position of power until Bonnie and Mason rush back into the room and snap the light back to an inviting warm glow. 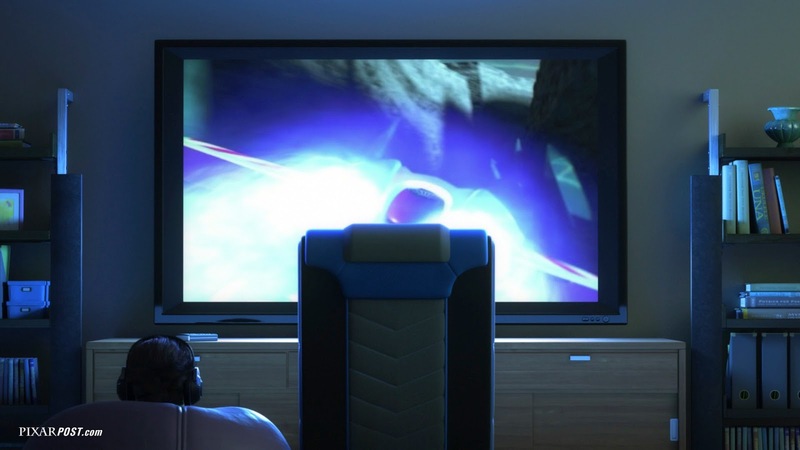 Read our special post dedicated to this lighting shift. There are many film references throughout the special as well - if you happen to be a Star Wars fan you may have heard a familiar line during Toy Story That Time Forgot from our favorite character, The Cleric stating to the Toy Story gang "I find their lack of armor disturbing" (the original line was by Darth Vader stating "I find your lack of faith disturbing"). Additionally, one cannot help drawing lines between Reptillus smashing the crayon into many pieces in slow motion to the slow motion battles in 300. Did you find any additional hidden items, reallocated assets or fun facts from Toy Story That Time Forgot? 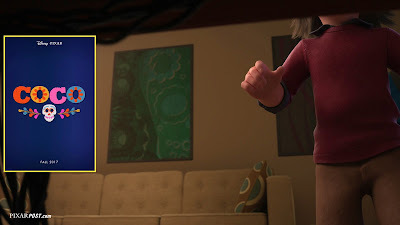 Be sure to share them with us — leave a comment below or chat about it with other users in the Pixar Post Forum thread dedicated to the television special. 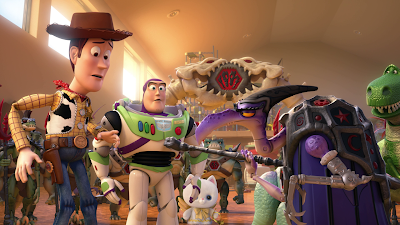 We have one word for the entire Toy Story That Time Forgot team and that would be "WOW!" As we continue to compile more and more easter egg from the film, be sure to watch and see what you can find - see below for a complete list of showings (2014 dates).